10 Want to be a better writer? Just write. 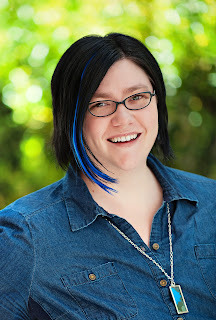 Today's guest post is by the ever-generous Elana Johnson, one of this month's mentors for our First Five Pages Workshop. 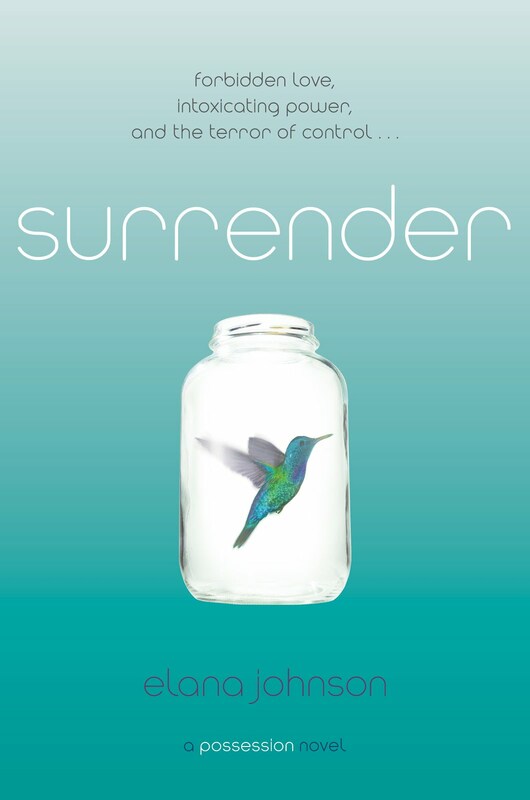 Elana's debut novel, POSSESSION, and it's sequel, SURRENDER, are both available now from Simon Pulse (Simon & Schuster). Find Elana on Twitter @ElanaJ or on her blog. You can read a million posts on craft. A million more on what you “should” do and what you shouldn’t. There are lots of books to help you with POV, setting, character, voice, plot, pacing, and everything else you can think of. 1. Read a lot. What kind of stories do you like? Why do you like them? (Fast pacing, great character development, strong plot arc, killer climax, etc.) What does the author do that you love? (Writing style, voice, sentence structure, placement of clues, twist endings, etc.) What do they do you don’t love? 2. Write more. Practice writing. Take those plot developments, those character arcs, those awesome beginnings you’ve been reading, and practice putting them in your stories. Write a book. And then another one. And then another. Practice does make perfect, as long as you’re trying to implement something new each time you do it. Obviously, I’m not advocating plagiarism, but I think there is so much to be learned from observing and then trying, practicing, doing. You owe it to yourself to try many different things until you find the one or two (or forty) ways this writing thing works for you. And then you “should” do that and don’t worry about the blog posts and craft books. Just write. I don’t let myself get all caught up in the craft of writing while I’m drafting. That’s the best part about writing. The freedom. The exhilaration of writing something that I like now, but that I’ll perfect later. It’s only after I complete the Zero Draft that I’ll examine the structure, the setting, the voice, the arcs in the plot and character. And I only do it in a way that makes sense to me. What sense is that? Not really sure, but when I read it, I know. So for me, the best advice I have to improve craft is to read a lot and practice writing more. Have you ever read a book that pushed you to want to write better? Great post Elana. That's great advice we can all follow--read and learn and practice writing. And books that push me to want to write better--JK Rowling, Jennifer Nielson, you, Marie Lu, and a whole lot of other awesome authors whose books I loved. Thank you for this. I DO know this, but for whatever reason, sometimes I just need to be hit over the head with it. When I first heard the advice write, write, write and read, read, read when I was just starting off I kinda scoffed at it as in how could that help. But over the years I've now come to the conclusion that this is the best way to improve. Just gaining head knowledge doesn't always transfer over to writing; but for me, seeing that in action in a published novel does wonders. I have a very similar approach to writing and I find reading too many craft books muddies my mind and paralyzes my fingers. I do learn more from reading great fiction, but that's just me. I know everyone is different. I tend to like sort of straightforward writing that doesn't go the darkest shade of purple yet has some sprinklings of interesting phrases mixed with the vital info. It's so true. I get bogged down in writing advice that sometimes it's best just to shut it all out and read and write. One can heed the old adage: Practice makes perfect! The more one writes, the better one gets at it. A famous golfer, called Gary Player, is one of the world's top golfers. When someone commented how lucky he was to be so successful, his reply was: "Yes, and the more I practise, the luckier I get!" I've read lots of craft books but my brain goes numb when I read about character lists, plot arcs etc. Then I came across the 'War of Art' by Stephen Pressfield and my writing has never been the same. He made me tap into my emotions and mine them - I never realised how autobiographical my stories are, despite being fantasy. I really recommend his book. As for a book I loved, 'The Knife of Never Letting Go' by Patrick Ness. Wow. Unusual, unique, individual.